For all those people who love Tim Horton’s Iced Capp I have THM’ed it for us! Like how I turned THM into a verb? LOL. First I brewed a cup of my favorite coffee, which happens to be Donut House coffee. If you have a Keurig I used the second to largest setting. Then I took 3 teaspoons of Trim Healthy Mama Gentle Sweet and mixed it in. 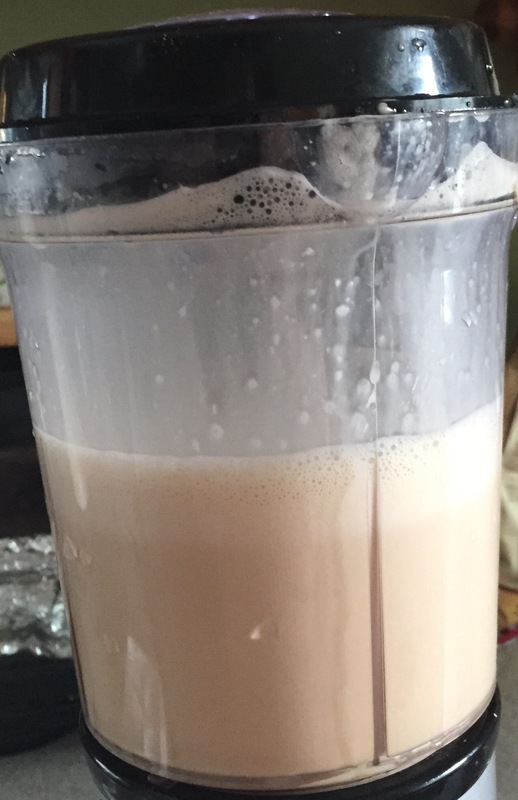 After that I took 2 to 3 (your preference) tablespoons of unsweetened Vanilla Almond Milk, this makes it a Fuel Pull, but you can make it an S with half and half or heavy cream. I stir it all together and let it sit and cool. 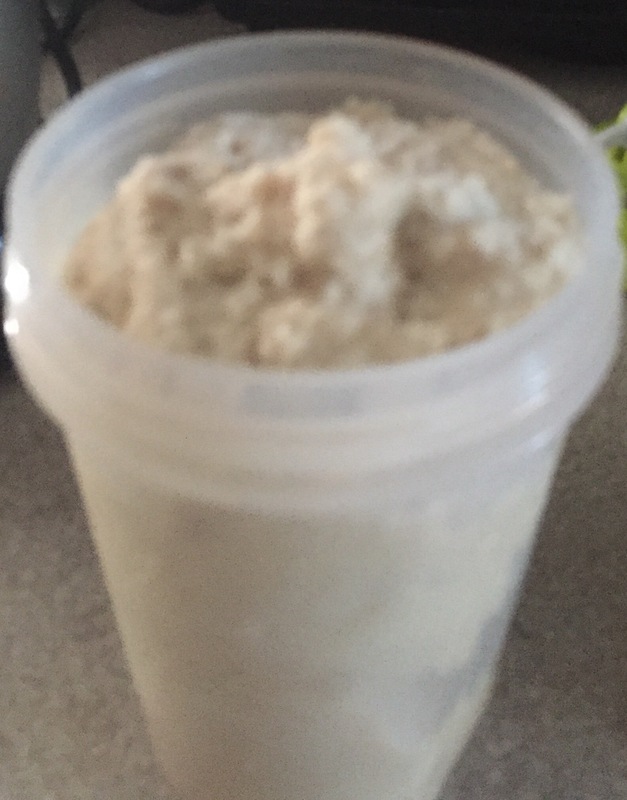 Once it’s cooled enough I put it into my blender with 2 scoops of Trim Healthy Mama Pristine Whey Protein. I blend until it’s frothy. Then I pour it into 2 ice cube trays and let freeze overnight. 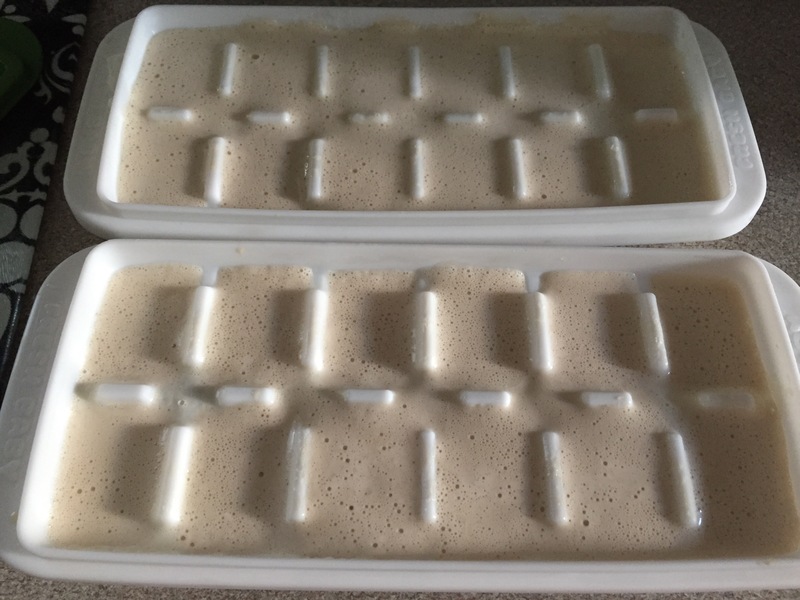 In the morning I take one to two trays out and I put them in my blender with some water and blend until it has the texture of an Iced Capp. It should look like this when you’re done! Enjoy! Yummy! 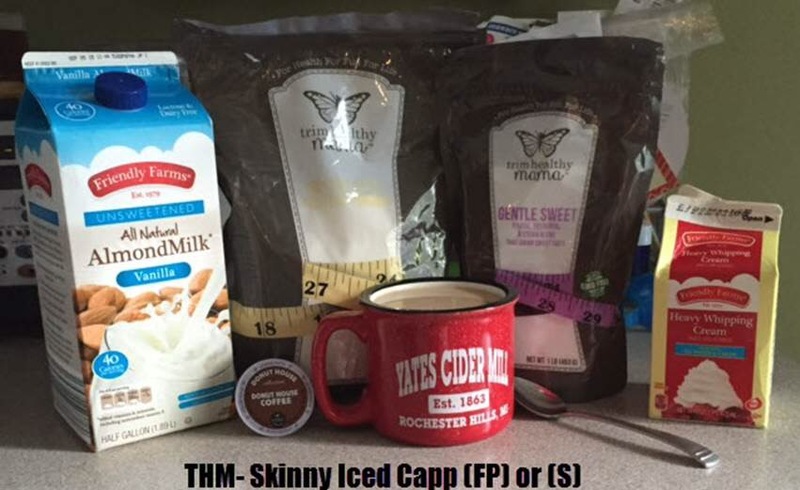 2 tablespoons of either Unsweetened vanilla almond milk, or Half and half or heavy cream. Depends on whether you want a FP or an S.
2 scoops of THM Pristine Whey Protein Powder.